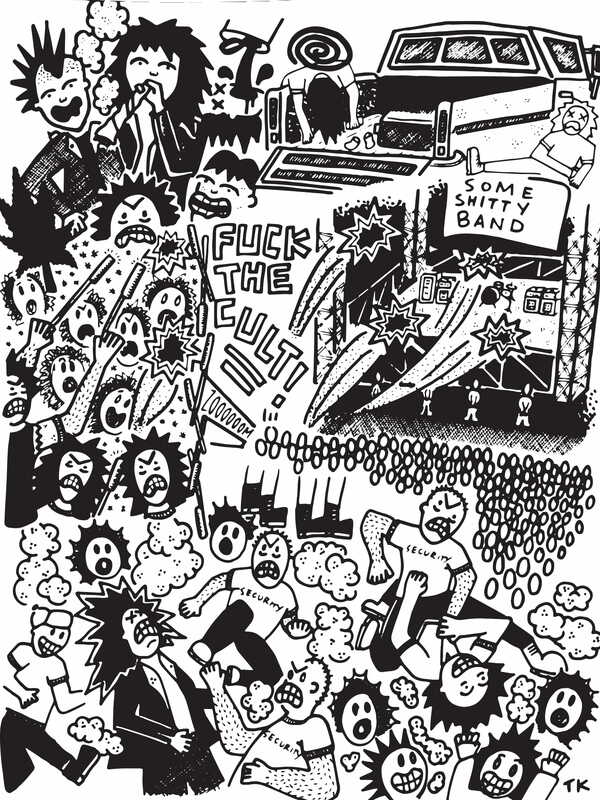 Claros’ book tells the story of Metallica’s rise, from behind the curtain, where the consequences of unabating grind are hidden from the gallery. Additionally, through interviews with over 20 fans who saw Metallica live in their first 10 years in D.C., Virginia, and Maryland, the book illuminates just what the music meant, and continues to mean today. Through this dual-lens, Claros creates a work of recognition and gratitude–of appreciating the turmoil, out of which spawned an outlet and community, generations strong, for angry kids everywhere. “Initially, I just wanted to make a little pamphlet for myself,” said Claros. “I’m a history major. I’m obsessed with dates and people’s ages.” However, Claros’ studious attention to the timeline of this decade in Metallica’s history began to flesh out a narrative. It became clear to Claros that the drudgery behind the band’s rise from the garage in California to the cover of Rolling Stone was imperative to understanding the story of Metallica–from the production of certain albums to the personal struggles of the members. One of these anecdotes details how Metallica rushed the recording process on their fourth studio album, “…And Justice For All,” so that they could support Van Halen on their 1988 tour. “Then band leaders James Hetfield and Lars Ulrich, on the days off, would fly to New York to produce the album and then fly back to continue the tour,” said Claros. “…And MetallicA For All” also delves into the personal toil experienced by the band. 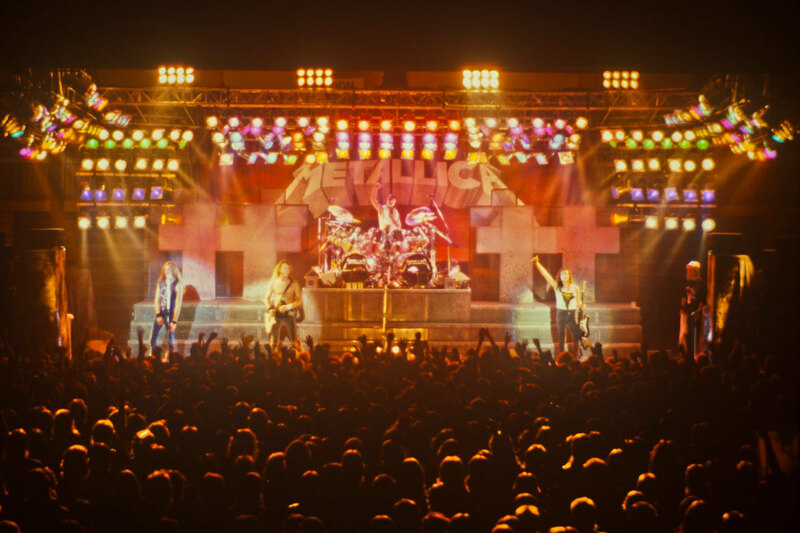 Claros focuses in on the band’s struggle to healthily navigate grief following bassist Cliff Burton’s death after Metalica’s bus crashed during the “Master of Puppets” tour in 1986. In addition to the inside perspective, “…And MetallicA For All” also brings forth a fan perspective through an unlikely regional lens–stories from the fans that witnessed the west coast champions of metal in our own backyard (or, our greater backyard area, at least). Throughout the writing process, Claros conducted interviews with fans who saw Metallica in Richmond, DC, Baltimore, and other Mid-Atlantic cities on their constant tour cycle supporting their first five albums. Again, within the process of writing the book, Claros’ vision for it broadened as these interviews with fellow Metallica fans became about more than just the show they attended, but what the band meant to them. There’s something sublime to be drawn from this unanticipated, yet, organic widening of the book’s scope. In writing about a band as prolific as Metallica, is the full story being told without this fan perspective? Music in general has always been an outlet for a community, but this is especially true for metal and other crude descendants of rock and roll. The intensity of bands like Metallica is a flame stoked by every wide-eyed kid, bursting at the seams with potential energy, looking to flail with unadulterated feeling, free from judgment. The free book talk for “…And MetallicA For All” will take place this Sat., Sept 22 at Charm School, located at 311 W. Broad St., from 12-2 PM. A Q&A will follow the talk.